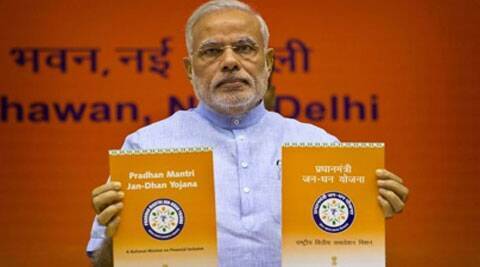 Jan Dhan Yojana would be better off without aggressive deadlines. The prime minister’s Jan Dhan Yojana (JDY) is, in many ways, an improvement over previous financial-inclusion schemes. And with an aggressive target to cover 15 crore households with basic banking services, including an overdraft facility, debit card as well as accident and life insurance cover, it is the most ambitious attempt yet. However, to achieve its promise, the JDY needs to focus on implementation. As suggested by the RBI governor, the scheme should aspire for universality and actual use of banking services by the excluded population, not just focus on speed and targets. One clear improvement from prior initiatives is the publicity around the JDY and the awareness it has created about financial inclusion among low-income citizens. This is a subtle yet important shift. As a result of this awareness, and the sustained pressure on the banks by the government, on the first day of the yojana, a record 1.5 crore bank accounts were opened. Till date, approximately 5.3 crore accounts have been opened, 3.1 crore of these in rural areas. Even by Indian standards, these are impressive numbers. In addition, unlike previous efforts, the JDY’s design is focused not just on bank accounts, but also on other products that make having an account more attractive — in particular, the Rs 5,000 overdraft facility. The scheme has also created incentives for users to sign up sooner rather than later, and to use the bank accounts rather than let them stay dormant. Since it is expected that government payments to individuals will be routed through these accounts, the probability of their usage has gone up significantly. However, there is still a risk that the JDY goes the way of previous schemes that have also made big promises but failed to deliver. Worse, there is a risk of loss of faith in the banking system among the poor if the promises are not met. This is the flipside of creating high expectations. Already, there are reports of banks taking shortcuts and making false promises to attract users to the scheme, leading to a large number of duplicate accounts. This is encouraged by vagueness in the policy itself, where key aspects of implementation are still being decided. For instance, there is no clear definition of what constitutes “good use” of an account, required to avail the overdraft facility after six months. There is also lack of clarity on who bears the risk for the insurance and the credit. Some of these issues are starting to be worked out. The government has provided details about a credit-guarantee fund with an initial corpus of Rs 1,000 crore, to be funded by the Financial Inclusion Fund of NABARD. The government expects the total corpus of this fund, housed in the National Credit Guarantee Corporation, to be Rs 8,250 crore — assuming 33 crore bank accounts (18 crore existing and 15 crore new), each with a Rs 5,000 overdraft and 1:20 leverage ratio (or one default for every 20 accounts). The government has also provided clarity on the phasing-in of the overdraft facility, starting with Rs 1,000, and proposed an interest rate of 11 per cent, including the credit-guarantee cost. Of the 18 crore basic bank accounts opened till March 2013, the RBI estimates that only four crore have availed of an overdraft facility, which, in the past, had a cap of Rs 2,500. The credit-guarantee fund should go a long way in helping banks be more liberal in lending small amounts to the poor, as well as enabling the poor to develop credit histories. Beyond the product design, the other aspect of making financial inclusion work is the delivery model. A RuPay debit card is only useful if there are ATMs and points of sale available in rural areas as well as interoperability between banks. Last-mile doorstep delivery was supposed to be done by the business correspondent (BC) system. But most banks still see BCs as a cost rather than profit centre and there are serious issues regarding the financial viability of the model. It is critical for the JDY to make commercial sense for the banking system, rather than be seen as a government mandate to public-sector banks to provide subsidised services. It is also important to go beyond banks. There are several other players who provide the last-mile link to the rural customer, such as non-banking finance companies, particularly microfinance institutions, prepaid instrument providers as well as telecom and consumer goods companies with extensive distribution networks. There are also the new payment banks, though they don’t yet have the ability to give credit. The JDY must leverage all of these channels in order to meet its objectives. To make the JDY a success, it is time to get realistic and, if needed, push out the aggressive timelines to avoid falling short of expectations. There is also a need to promote financial literacy among the low-income population. Most importantly, the JDY can only succeed if it allows banks to see the poor as customers, not as government beneficiaries; and if it also looks beyond banks to MFIs, telcos, payment banks and other institutions.